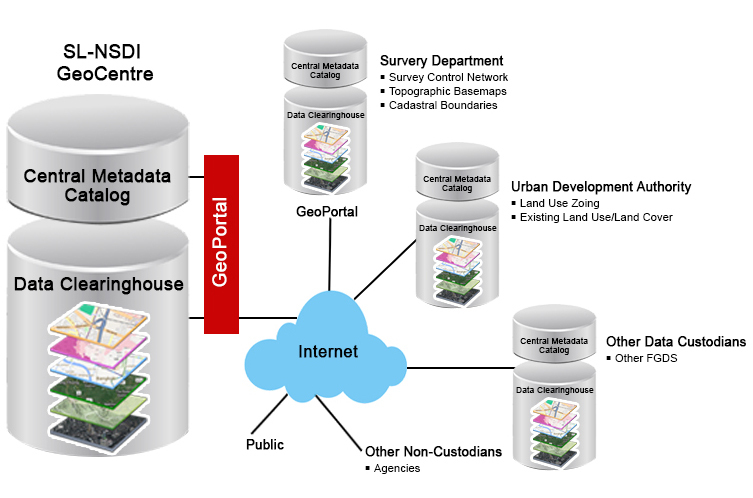 With the aim of improving the use of spatial data and promote SMART and spatial based decision making, the Government of Sri Lanka implemented a National Spatial Data Infrastructure (NSDI) program. NSDI has been identified as one of the key initiatives under the National Digital Policy - “Digitalization of the Economy” by the Government of Sri Lanka. The functions of the NSDI Office are to be carried out by a number of interdependent teams.